The application deadline for the second batch of startups for badass hardware accelerator Haxlr8r is coming up on November 18th, so now’s your chance to get hacking. The three-month program is based in Shenzhen, China (AKA the world’s factory) to bring entrepreneurs close to their production bases. The accelerator culminates in a trip to Silicon Valley to meet with investors and demo their stuff. This round will bring on Zach Hoeken Smith, the founder of Makerbot, as a new mentor and program director. “Generally, [startups should] apply with a prototype, so they have a team that is actually someone who can do electrical, someone who can do software,” he said, adding that, depending on the project, some teams may need a mechanical engineer or industrial designer. Ebersweiler also runs Chinaccelerator, a software-focused accelerator, so I was curious why he decided to also do a dedicated hardware program. He said hardware has become the new software. According to him, hardware is currently following a similar trajectory that software followed with the open source movement and reduced development costs. Tools like Arduino and 3D printing have changed the way hardware is made, making it easier for startups to get projects off the ground. In the first group, startups came in at various stages in the process. Some already had a product manufactured and focused on packaging, sales and marketing, while others came in to do prototyping and design work. “What’s happening on the hardware side is really the fact that the supply chain became a lot more understandable for small companies, because China has evolved quite a bit, then the level of quality is way higher, the processing power is higher, although the cost of parts went down. What we’re trying to do is take the opportunity and package it so that startups basically use it,” he said. Ebersweiler used Nomiku as a specific example. The company apparently came to the accelerator with a DIY kit, and they redesigned during the program. They launched on Kickstarter on Haxlr8r’s demo day and raised $600,000 from the crowdfunding platform and further money from investors. He also pointed out that the most-funded Kickstarter projects have been hardware-based. But, of course, the gear alone isn’t enough. “It’s not only hardware, it’s always a combination of hardware and software,” he said. 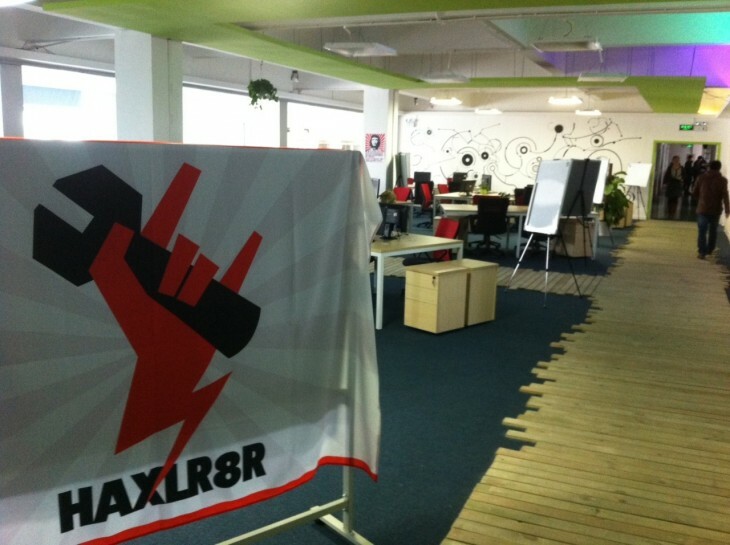 While the accelerator is based in China, it’s not just for Chinese startups. In fact, overseas entrepreneurs have the most to gain because they gain deep insight into the manufacturing process by participating. The first batch had startups from the US, Croatia, Estonia, Japan and China.